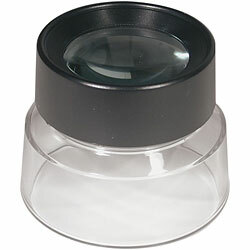 Pre-focused dual lenses. Acrylic base allows ambient light to illuminate the object for bright clear viewing. Perfect for coins, stamps and negatives.